We had beautiful weather for our trip to Venus, Florida, which is just south of Lake Placid. Before our guided walk, Dustin Angell, talked to us about the history of Archbold, the habitats we would experience, the projects that were ongoing, and showed us a topographical map of the area. 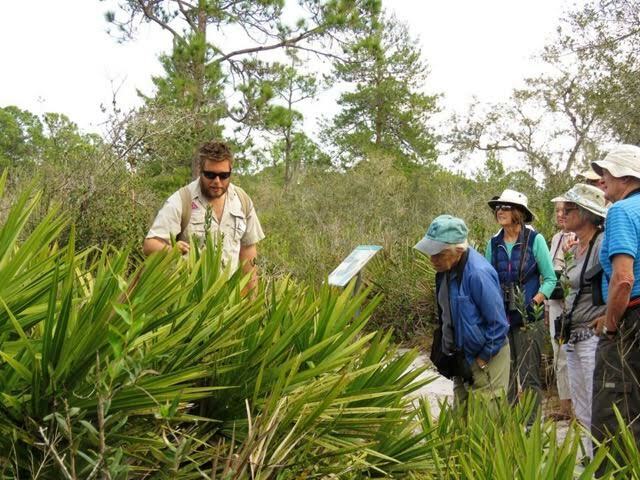 Then we headed out on a search through the scrub habitat for Florida Scrub Jays and other birds. Some of the sightings included several Kestrel hunting and feeding, White-winged doves, and Bobwhite quail. 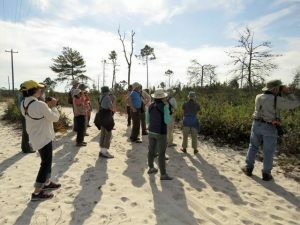 Some of the group did see several Scrub Jays. 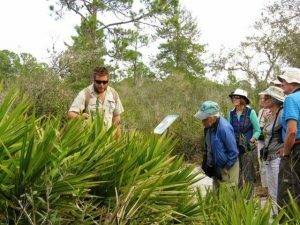 Along the way, Dustin shared the Scrub Jay research going on at Archbold, the latest research on the Palmetto plant, and other pertinent facts. 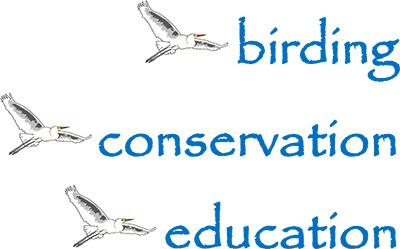 Dr. Reed Bowman will be talking to us about his research done at Archbold at our annual banquet March 23rd. We hope you will attend. Those who wanted to spend the whole day in the area signed up for a Buggy Tour of the MacArthur Agro-ecology Research Center which was about 8 miles east. 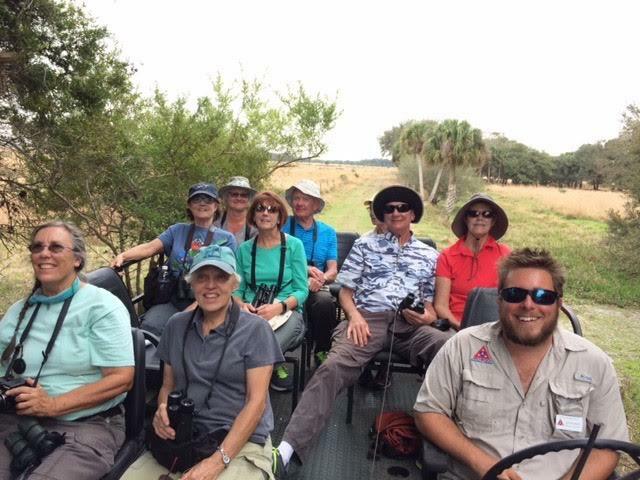 It was great fun to tour the ranch by buggy as we had a good vantage point to see the birds feeding in the canals along the road. There were more Red-shouldered hawks than we could count. We saw several Caracara and even a Peregrine falcon. 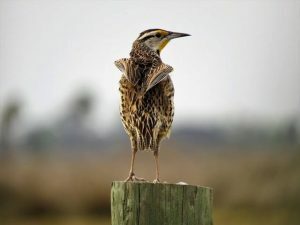 Meadowlarks sang to us from the fence posts and Limpkins stood on the banks. We all wanted the tour to go on and on. Many thanks go to Dustin Angell, who taught us so much about the wildlife and plants and the importance of research for conservation. His enthusiasm for his job made the day pass quickly.